However, sometimes the opposite situation happens due to a dismal performance in studies. To avoid this, there are several tools and resources for students they can tap to improve skills. Writing a good essay involves understanding the topic well and conducting an intense research on it. You have to check what others are saying about the idea so that you can detect all existing gaps. During this process, once you get an idea, you research and paraphrase some useful insights or make direct quotations to support your arguments. Borrowing ideas to support arguments helps to get the highest grade but if you fail to cite them properly or give credit to the sources, then that amounts to plagiarism and is tantamount to academic dishonesty which is a serious offense which may even lead to expulsion from college. Why wait till you are caught with plagiarized work while there are several tools to detect it? In fact, there are paid checkers that offer free online versions where students can screen their work for free and rectify the offensive parts. 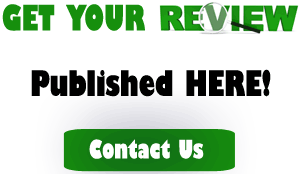 If you haven’t managed to purchase one, you can utilize this plagiarism free essays check here. A good checker should tell you the plagiarism level and specific sites materials are copied from. This comes in handy when revising your work. Unlike in the past when students had to visit a physical library to research or read educational materials meant to improve their writing skills, things are different now as all you require is a computer and internet connection to access online stuff. No more travelling around just to access study materials or spend hours locating misplaced reading resources as searching materials is easy thanks to web-search forms. Today most universities have online libraries where students can login to access learning materials in the comfort of their rooms. Some have digitized student’s data and safely stored it in a database where you can login to access it,whether for financial or performance records. With increased internet coverage even in rural areas, there is a proliferation of social online groups especially on popular apps such as Telegram, Whatsapp, Facebook, Viber, etc, where people communicate and share experiences. Students can form similar groups to share educational materials and experiences. For instance, if you are having a question, you can post it on this group for others to comment and provide possible solutions. If your lecturer or tutor is a digital one and is comfortable joining such a group, you can add them so that they can be offering guidance in real time without necessarily having to meet in classes. When writing an essay, you note down everything that comes through your mind. At this stage, checking grammar is not important but once you are done researching and you have a rough draft, it is now the time to check if your words are communicating or are relevant to your essay. It is also time to check the general flow of your paper. This process is known as proofreading and is highly important as you may have brilliant ideas but if you fail to edit and proofread your work, it will lose its meaning and flow. Today, there are several efficient processing platforms students can use to save time. For example, if you are using Microsoft Word software, you can activate its spelling & grammar checker to check misspelled and misplaced words but still, there are other online platforms, such as Grammarly that you can use to check grammar, punctuation marks, etc. Reading materials have continued being digitized with some being turned into films and videos. In fact, you can find some educational information relevant to your course on YouTube and other video hosting sites. To access these videos, you require a reliable and stable internet connection so as to stream the content on smartphone or computer. Colleges also have visual educational materials in their libraries which you can access and watch with your friends, discuss and see if you can make something out of them. For effective time management, you should have a time table so that you can schedule your day’s activities. Without these two, it is hard for you to manage your tasks and to switch to them in a timely manner. So, these are the best resources and tools college students can use to improve skills. Let us know your thoughts in the comments below. Fantastic resources for college students. Thanks for sharing!